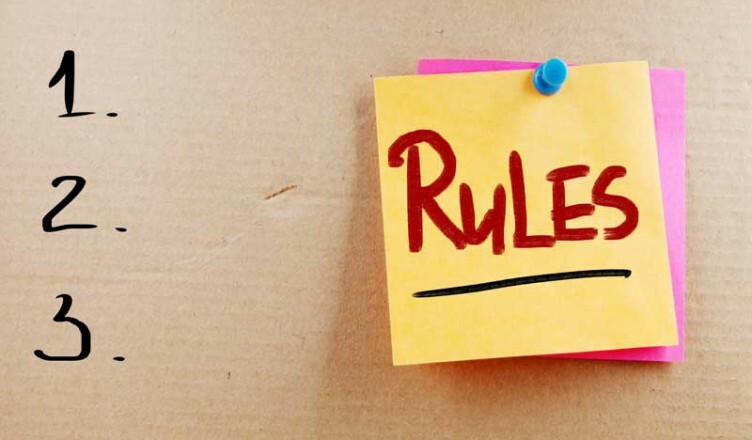 There are many rules associated with establishing and running a successful business. Indeed, there are a number of things you can do to contribute to your success as a business. But here are 7 basic rules that you can use when building a successful business. Keep reading to discover great rules to use to succeed in business. 1. Don’t let your accounts receivable get out of control. First of all, it is vital to have an organized accounts receivable department. You need to know who owes you what, and you need to know who is making payments. You also need to make provisions for following up on invoices that owe you money. An efficient workflow needs to be maintained so that you are receiving payments in a timely manner for your goods and services. 2. Maintain a good relationship with your financing partner. This is another essential point. Your financing partner – whether it is a bank, an investor or a factor – helps you get the cash you need to keep your business going. You need a solid, professional relationship with your financing partner to ensure that you can get the money you need, when you need it. Cash flow is vital, and you need to make sure you have incoming capital. 3. Don’t cut your advertising budget short. Many businesses make the mistake of cutting the advertising budget first thing. This is a mistake. The old adage “you need to spend money to make money” is most true of advertising. In order to sell products, and to reach your target market, you need to pay for advertising outreach. Of course, just throwing money into any advertising is inefficient. Instead, you need to have a coordinated plan. You need to figure out how you can best reach your target audience, and use your money efficiently so you get the most bang for your buck. Before you start advertising, do a little research and take the time to develop a coordinated plan of action. 4. Stay current with the latest technologies in your industry.Technological advances are always being made. Your industry is always growing, changing and seeing new things. If there are technologies that make things more efficient, or that provide the latest in industry needs, you need to make sure you are keeping up. This will help you lower costs in the long run, and it will show investors and customers alike that you are up-to-date and that you are aware of what is going on in the industry. 5. Treat your employees with respect and professionalism. Your employees represent you. Employees that are treated with respect and professionalism are more likely to be happy and work better. They will also say good things about your company and how it is managed. This is important. There are few things that can damage a business reputation like an employee that has a legitimate complaint about he or she has been treated by the management. Having employees that work hard and do so efficiently can help you manage costs better, and will keep your company in good shape. They are also more willing to go the extra mile when it is needed if you treat them well. 6. Network in your community with other business owners.Networking is important. It is a good way to forge relationships. Also, networking can provide you with the ability to find good partners for your business ventures. You can also find new clients through networking, as well as find suppliers that can help you come to a more equitable arrangement. Being involved and visible in the community also has other advantages. People are more likely to do business with people they know, so getting to know people can bring you more business. 7. Make every business deal a win-win for all involved. If you want a reputation as good business person, you need to deal fairly with others. If you take advantage of other businesses in your dealings, eventually no one will want to associate or do business with you. This can cause you to lose business. Additionally, customers and clients may hear that you are not a pleasant person to do business with, and take their patronage elsewhere. You want to cultivate good feelings. You do not have to let others get the better of you, but you should not strive to get the better of others. Look for solutions that provide an equitable arrangement for all involved. If you take care to follow sound practices and work at building your business in a practical, organized and fair manner, you will find business success.